Anina says: “Dinnertime. The time to feed the crowds. This time, you don’t need to worry about dinner too much, since I already have you sorted. 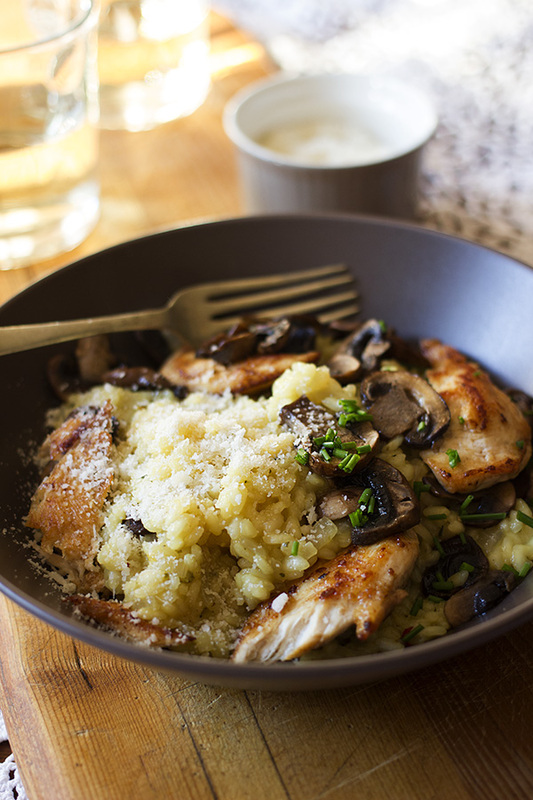 So let us shed some light on this amazing Lemon Risotto with Chicken, Mushrooms and Chives. I love risotto. From the ease of cooking to the mouth-watering result – cooking risotto is a calming and relaxed activity. Well, it should be. Start off by prepping all your ingredients in serving bowls and a good tip – keep the stock warm, I suggest using a small saucepan on a gentle simmer next to your risotto dish. This ensures an even temperature as you slow cook the rice. Add the stock little by little to your pot, and only add more liquid once it has been absorbed by the rice. Don’t crank up the heat too much, a medium heat setting is sufficient. Not really, you aren’t making rice pudding after all – risotto rice should be al dente when done, you must be able to ‘bite’ into it. Now let’s talk about the flavours here. I decided to grill some chicken tenders in butter with seasoning and a few pinches of chili flakes. I also sautéed mushrooms and used dried porcini mushrooms in this dish as well – just love the earthy tones from the mushrooms that pairs perfectly with the creaminess of the risotto. Top it off with fresh chives and of course, loads of Parmesan. First off, get those dried porcini mushrooms soaking in hot water before you start – 15 min should be fine. Then, in a medium sized pot, heat the butter and olive oil and sauté the onion and garlic. Once translucent, add the rice and allow to fry a little. Add the wine. Stir. Once the wine is cooked through, add a ladle of stock and turn the heat down to a simmer. Once the stock is absorbed, add more as you go, stirring as you go to loosen the starch into creamy goodness. Once all the stock is absorbed, after about 15 minutes, taste test to see if your rice is cooked. It should still be all dente when it’s done. Season and add the lemon juice and zest. Mix through. Meanwhile, heat the next bit butter and olive oil and fry the chicken with chili flakes and seasoning until done. Remove from pan. Add the chopped mushrooms and dried porcini (with its liquid) and sauté until soft. Lastly, bring your dish together by adding the chicken, cooked mushrooms and Parmesan. Give it a mix through and garnish with fresh chives. I am honoured to share my crazy, free and dynamic personality through my food with you. Thanx for stopping by, grab your aprons, get cooking, and let me know how it went! 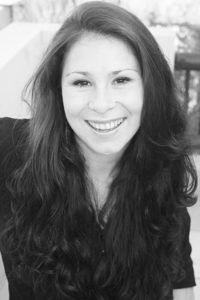 Click here to go to Anina’s website.